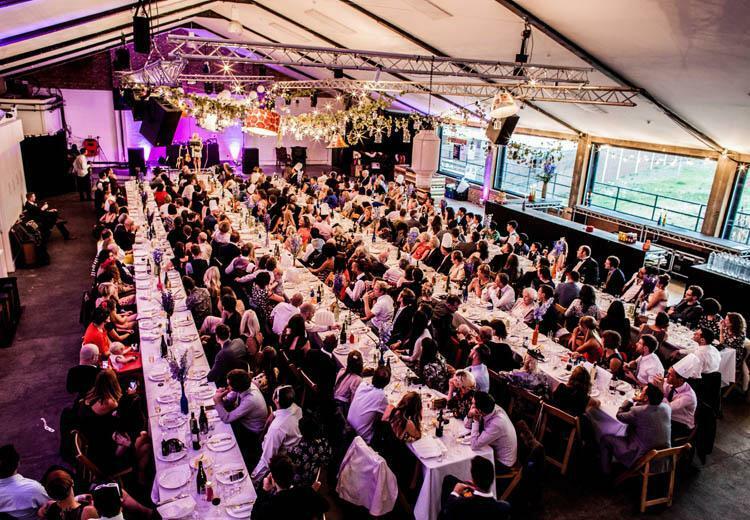 In the heart of fashionable East London, Oval Space is an amazing warehouse-style venue finished to a very high standard that offers 5,000 square feet of unobstructed event space, with the iconic backdrop of the Bethnal Green Gas Holders lending an authentic, industrial flavour to the location. Two terraces frame the venue on the West and South side, providing a summer reception space and / or BBQ garden with a striking view. Although it is full of unique features, Oval Space offers a fantastic blank canvas, making it a venue of choice for an extraordinarily wide range of events including corporate events, screenings, conferences, catwalk shows, product launches, film and photo shoots, receptions, concerts and club nights. Oval Space has been available for hire as a studio and pop-up event space since Easter 2012 and to date our ever-growing clients list includes Ben Sherman, McLaren, ASOS and Redbull. The Main Space: 5,000 square feet of versatile “warehouse” space with all the facilities you would expect from a large entertainment venue. The Main Space is a huge blank canvas perfect for any kind of production including large set builds or sound stages. The Main Space can easily be divided into different zones, or be utilised for a dramatic large-scale event. The space can be draped to be made smaller, please request a quote from your events manager. Oval Space has a permanent 12am license and access to a number of late licenses (6am) for Fridays or Saturdays. Shutter Space: 1,200 square feet of reception space with a cloakroom/office and separate toilet facilities. The ground floor is ideally equipped to be an arts space/gallery ideal for small-scale low-key events but doubles as a reception area for the Main Space. Directly accessible from the road, guests are welcomed here and can be ushered upstairs via the iconic backdrops and into the Main Space. 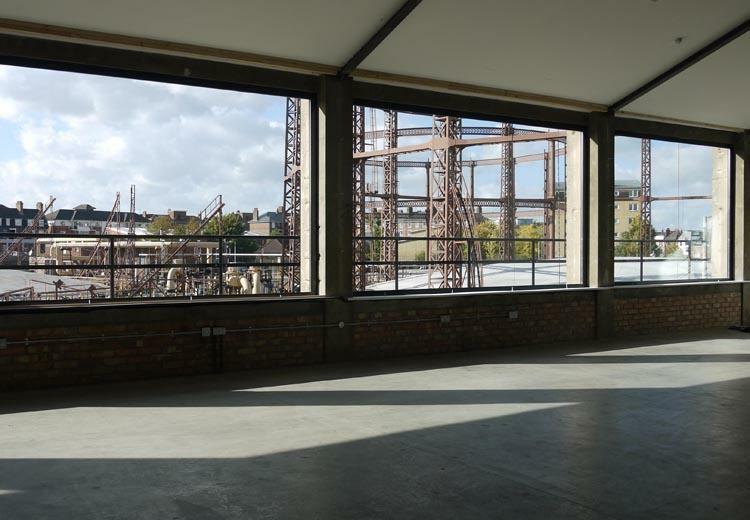 West Terrace: With the views of the gasworks on one side and a quirky brutalist backdrop on the other, it offers a large additional or separate hosting space that can be covered and heated during winter, and plenty of options for branding and projections. The West terrace also often hosts pop-up restaurants in the summer months. South Terrace: This terrace runs the length of the building, alongside panoramic views of the gasworks making it a fabulous backdrop for drinks at sundown for smaller events, or for a photo shoot with a difference.